Provides commercial robotics solutions using industrial drones, etc. Our vision at Sensyn Robotics is to realize a society where robotics solutions are commonly utilized in our daily life, and we have addressed various social challenges since we were first established in October 2015. How do we perform essential routine jobs as the working population declines due to decreasing birthrate and a growing proportion of elderly people? How do we guarantee the safety of workers working in hazardous areas, for example in high places? How do we immediately grasp the situation in disaster areas and take quick appropriate actions when disasters on a large scale strike, for example earthquakes, floods, and fire? In order to address such specific and urgent social issues, we begin by introducing solutions that combine drones and real time video communications technology. In the future, we will propose new business ideals and new ways to realize business by deploying initiatives that harness cutting edge technologies, namely fully automatic operating drone solutions that are capable of autonomous flight and automatic take off and landing, and automatic inspection solutions that make good use of image recognition and analysis technology. But first of all, we will establish our drone-utilizing solutions. Then, we will deploy these solutions into various robotics areas and expand the scope of social issues we wish to address. We also wish to release these robotics solutions that are cultivated in Japan, a developed country with new problems, to the whole world. Please join us in our journey. 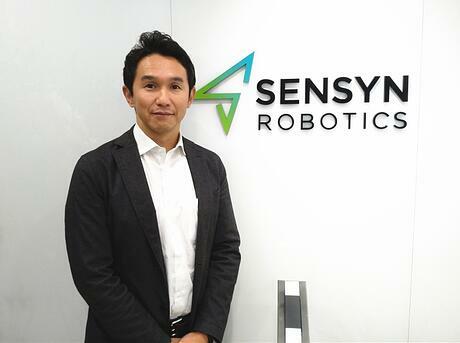 Sensyn Robotics Inc., is currently calling for candidates to fill in the following posts. Understand the company's vision, always keep up with the latest technology and explore technical strategies capable of maximizing product and services quality while taking business strategy into consideration. Promote and manage the development and operation of service planning and improvement from technical aspect as a key person. For this purpose, the candidate will choose the most appropriate technology and partners along with promoting collaboration and coordination with external partners and relevant departments. To promote service development and improvement from the development to operation as a practicing person in charge. For this purpose, the candidate will also take charge of alliance and joint collaboration with external partners and relevant departments. ※Candidates with experience as lead engineer or project leader in an industrial company may be put in charge of direction. Please let us know your choice in detail during screening. To update information from the market and sales channel at all time, to identify customer and market needs, and to apply and improve one by one V-Cube Robotics service plans and packages. To formulate rules and enter into agreement required, along with encouraging collaboration and coordination with external partners and relevant departments for this purpose.